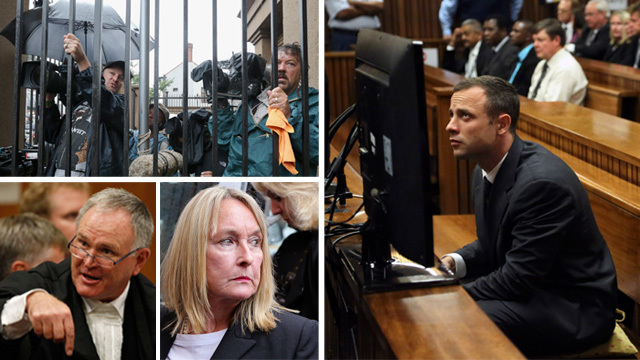 Pistorius trial day two - in 90 secs Jump to media player Watch key moments from day two of the trial of South African athlete Oscar Pistorius, who denies murder of his girlfriend Reeva Steenkamp. Pistorius trial day one - in 90 secs Jump to media player Watch key moments from day one of the trial of South African athlete Oscar Pistorius. 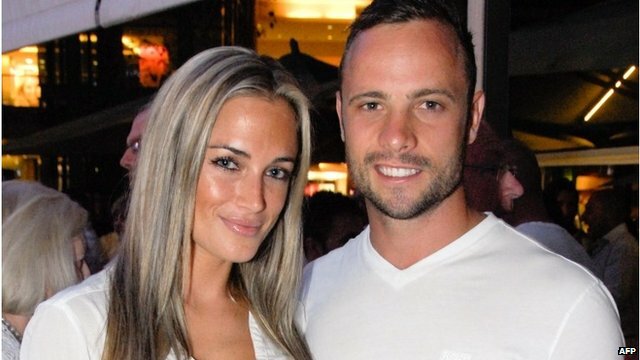 who denies murder of his girlfriend Reeva Steenkamp. 'Fighting' on night Steenkamp shot Jump to media player A woman living next door to South African athlete Oscar Pistorius "heard loud voices" on the night of his girlfriend Reeva Steenkamp's death, a court has heard. Pistorius lawyer wants 'toilet test' Jump to media player A defence lawyer in the trial of South African athlete Oscar Pistorius has proposed a "toilet test" in an attempt to prove a witness's evidence is unreliable. Neighbour 'heard screams then shots' Jump to media player The first witness at the trial of South African athlete Oscar Pistorius "heard terrible screams" on the night the athlete's girlfriend Reeva Steenkamp died, a court has heard. 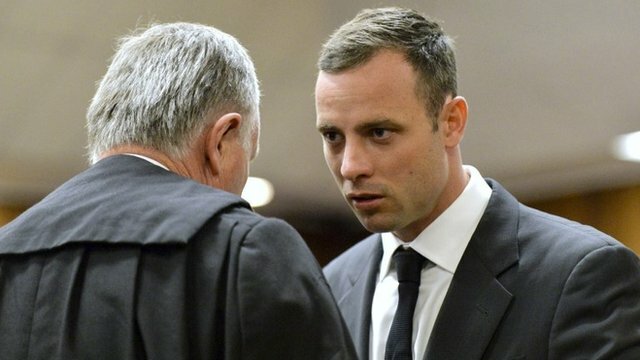 Pistorius 'was trying to defend Reeva' Jump to media player South African athlete Oscar Pistorius has denied "in the strongest terms" murdering his girlfriend Reeva Steenkamp, at the start of his trial in Pretoria. Timeline of Reeva Steenkamp's death Jump to media player The South African sprinting star Oscar Pistorius will go on trial in Pretoria, accused of murdering his girlfriend later. Key witnesses have been cross-examined on the second day of the trial of South African athlete Oscar Pistorius for the murder of his girlfriend Reeva Steenkamp. 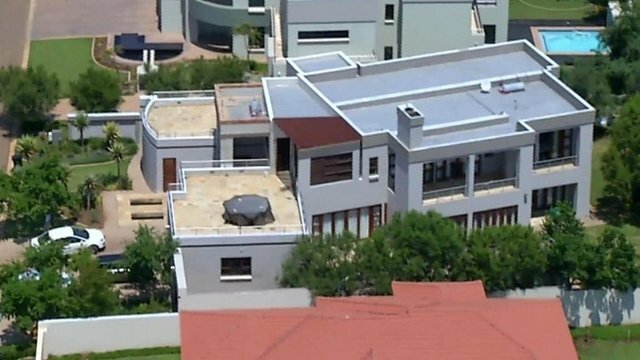 Mr Pistorius's defence lawyer claimed neighbour Michelle Burger could not have heard Ms Steenkamp scream, partly because the model was too badly injured. He also reiterated the theory that "gunshots" Ms Burger heard were actually thuds made by Mr Pistorius as he tried to break down the toilet door with a bat. 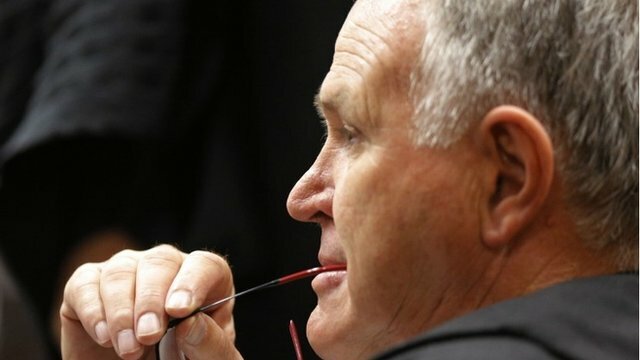 However, the state prosecutor disputed both these points, by alleging it was the last of four shots which silenced Ms Steenkamp, and acting out the "cricket bat theory". 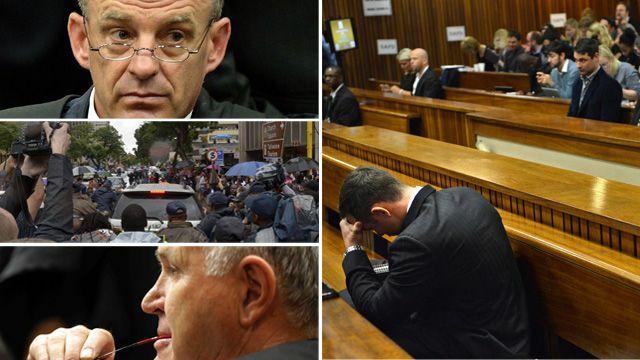 Watch key moments from the second day of the trial.